NEW DELHI: Decks are cleared for setting up of the much awaited Rail Development Authority (RDA) through legislative route after the intervention of the Prime Minister’s Office following which the government has dropped the plan to constitute the body by an executive order. After the NITI Aayog complained to the PMO about the Railways allegedly diluting its recommendations on setting up of the RDA, the Cabinet will soon to take up the proposal for constitution of an independent authority without the scope for the Railway Board to “manipulate” the selection of the members of the proposed body. “The Ministry of Railways had been mulling to go ahead with the constitution of the RDA through an executive order. 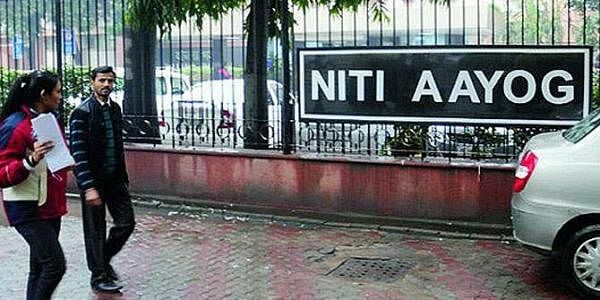 But the NITI Aayog argued that the objective of setting up an independent and autonomous body could be compromised by taking the executive route. The RDA has to be set up with the nod of the Parliament, which alone can give it the mandate to function independently of the Ministry of Railways,” sources said, who added that it was decided to take up the legislation following a presentation before the Prime Minister Narendra Modi recently. Incidentally, the NITI Aayog had flagged off the selection norms for the members and the chairman of the proposed RDA. “The think tank panel was disappointed to see the norms of selections proposed by the Ministry of Railways, which could have allowed even the Chairman Railway Board (CRB) and other Railway officials to become members of the proposed authority. The constitution of the RDA was proposed solely for the purpose of setting up a body which could be independent of the Ministry of Railways and become a regulator for the fixation of the freight and passenger fare, besides functioning as the dispute redressal mechanism to give a boost to the public-private partnership and also in giving confidence to the foreign investors to attract the FDI in the Railways,” sources stated. Sources said that the government will move a legislative proposal before the Parliament after getting the Cabinet approval. “Since the idea of setting up of an RDA was floated in the times of the UPA government, there is a broader consensus among the political parties for the need to establish such a body. The government is confident that the legislative proposal, which could be a big reform in the railways, will get the support of all political parties,” sources in the government said. With the operating ratio of the Railways having breached 100 per cent marks in the recent times, the urgency is seen within the government to expedite the setting up of the RDA to ensure that fixation of the freight and passenger fare is de-linked with politics, besides attracting private investment.